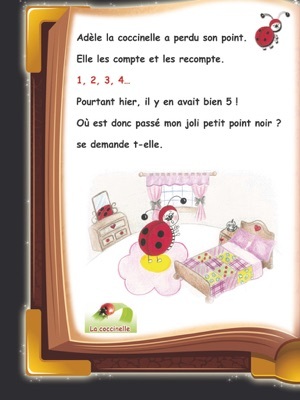 Meet our lovely beetle, Adèle, and help her find her missing dot! 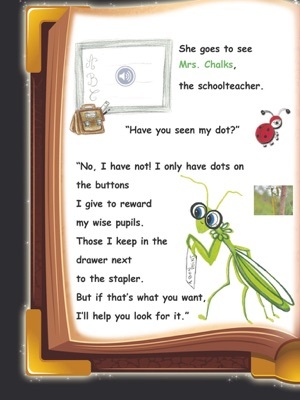 A children book to enjoy with dad and mom or to read along. Enjoy the original pencil illustrations. Learn more about the characters and their real life thanks to the audio and video animations. 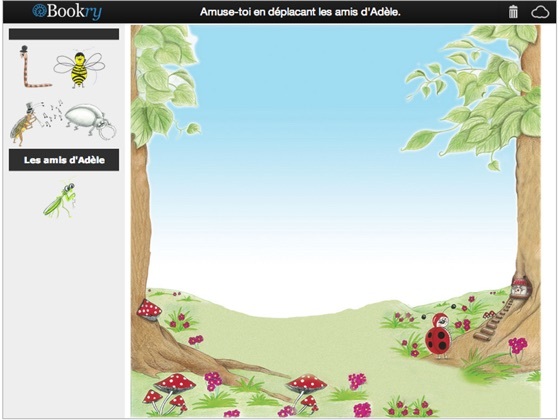 You can color, draw and even move your new friends around with the widgets at the end of the story. 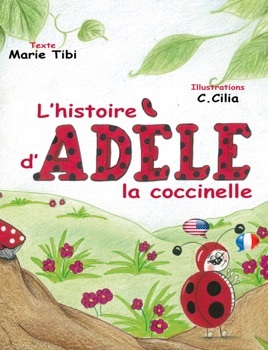 Venez rencontrer notre petite coccinelle, Adèle et aidez-la à remettre la main sur son point disparu! 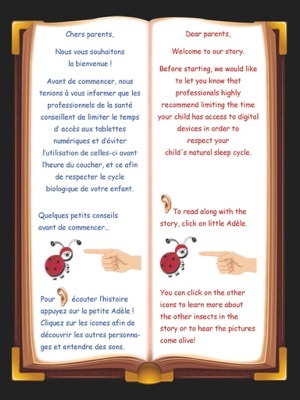 Une histoire pour enfant à lire avec papa et maman ou à écouter. 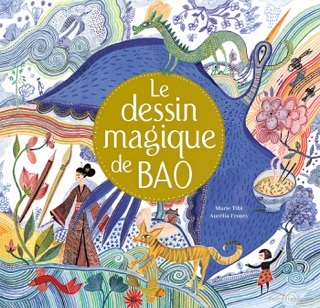 Des illustrations originales très douces. Des animations et des mini-vidéos pour en savoir plus sur les personnages et leur vraie vie. En dernière page, des widgets pour poursuivre l'aventure, colorier, dessiner et même promener tes nouveaux amis! Hey, here's something out of the beaten tracks. Simple, funny, not scary at all…and it sounds beautiful! and the games at the end are not debilitating…and the beetle has its own little flaws..